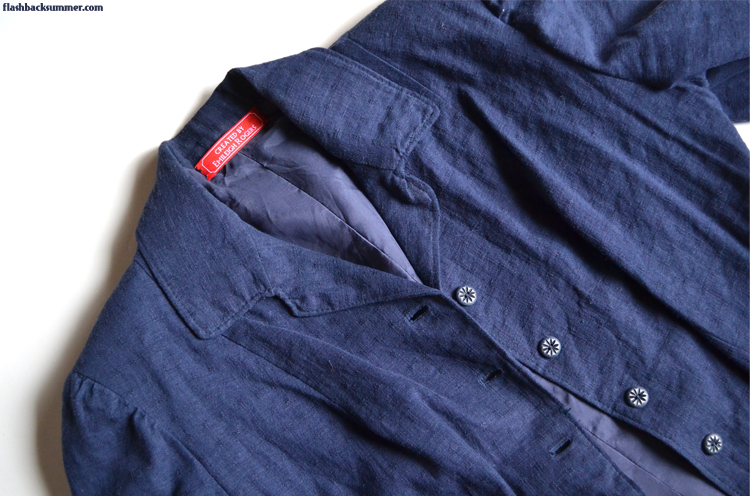 It is a fairly known fact that vintage wearers are also label nerds. We love finding pieces with labels, both because it usually denotes quality and because of the pretty fonts and little pictures. It's especially fun to find personal laundry labels, too, to hold a piece of history and know the name of a real person that enjoyed it. 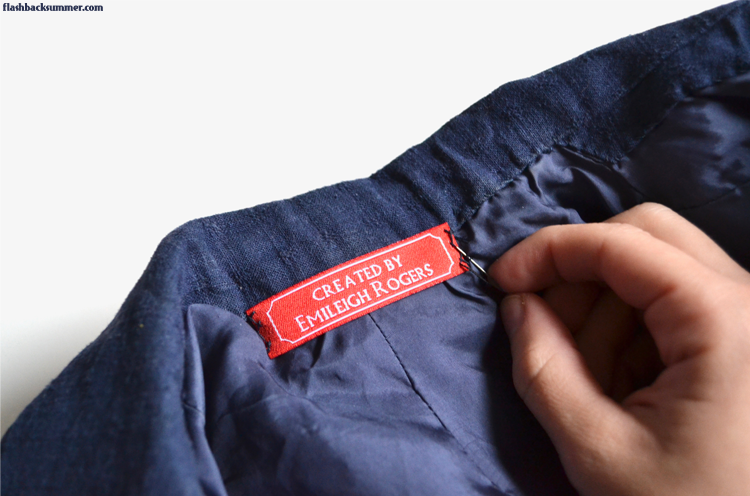 Labels give us insight into where clothing is from and the journey it has been on. As a person that makes clothing, I love the idea of having my own labels, but oftentimes you have to order such huge amounts that it is unreasonable for me as a home sewist to buy them. However..... I discovered Wunderlabel! Wunderlabel is a custom label company, and they're fantastic for us home sewists. The best part about it is that you can order as few as 25 of their standard labels for only $16. 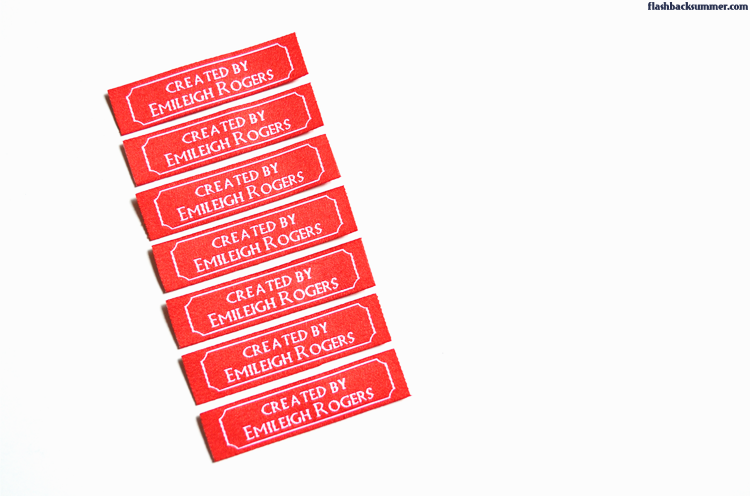 They also just started offering their custom logo labels starting at quantities of 100. That's super low for custom labels, and I hope to try them out in my next round! 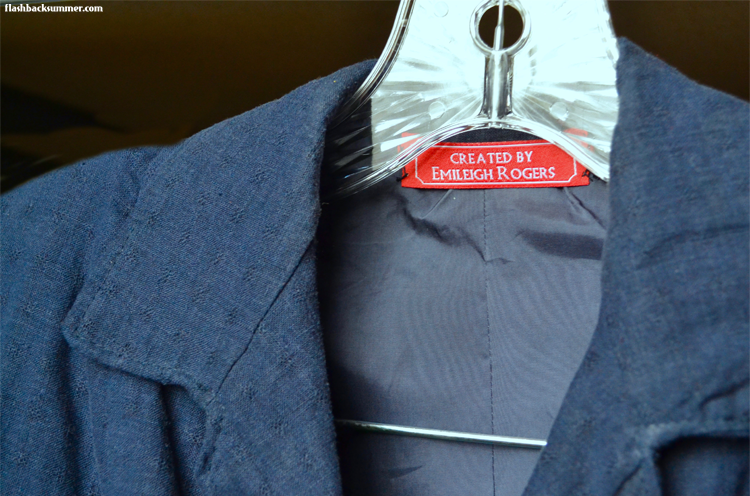 I'd love to recreate the look of bigger labels I've found in vintage coats and suits. Next time! This time, Wunderlabel was kind enough to offer me a batch of customized labels that I could try out and share my results with you guys. 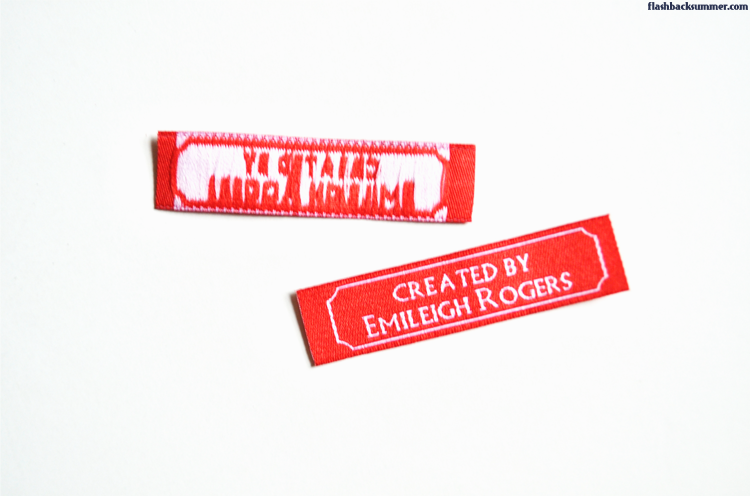 I decided on the standard labels for this round, as I felt the smaller size would be more versatile for my projects. The size is small enough to fit on a blouse or a skirt, and I got the sew-on version for an added vintage and durable touch. If you hope to order your own labels, I also recommend using the "Enhanced Color" option, particularly if you have light lettering like I do. It helps prevent the letters from being tinged with the background color. I must say, I love my labels! I am going back and sewing them in my older projects, and I have a stack saved for future pieces. It just makes them seem so much more polished and legit! 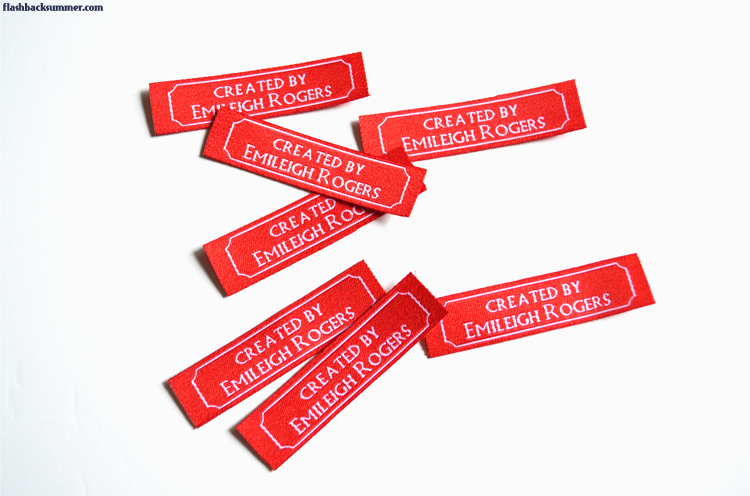 Have you ever thought about making your own labels for your clothing? What would you want them to look like? These labels provided c/o Wunderlabel.com, and all opinions expressed are my own! Read more about my sponsorship policies here. They are very pretty! I have my own labels, and I was also really glad to find a nice local supplier that you could start at low volumes with - it makes a big difference! I am almost out though, and thinking of going bigger or more colourful next time and having a bit more fun with it!